William Exall Felver was my great-grandmother’s brother. He was born in Brooklyn, NY on September 29, 1888 and spent much of his life in Mount Vernon, NY. 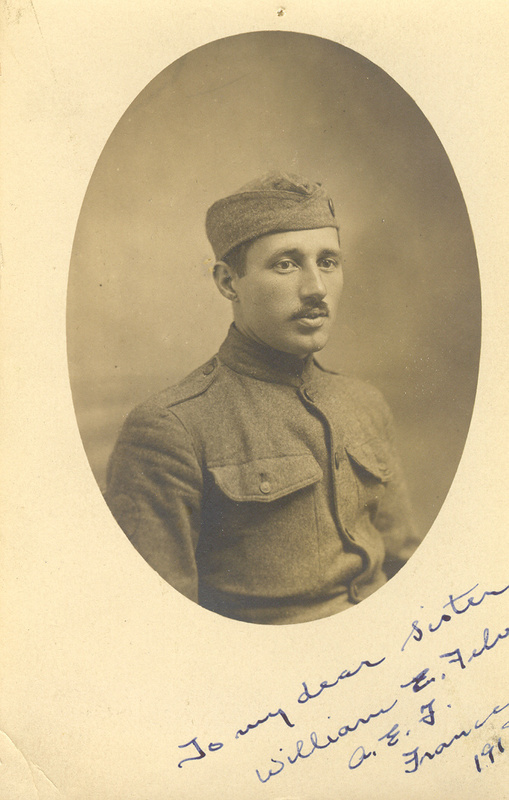 He fought during WWI in France and sent home this handsome photo home to his sister. 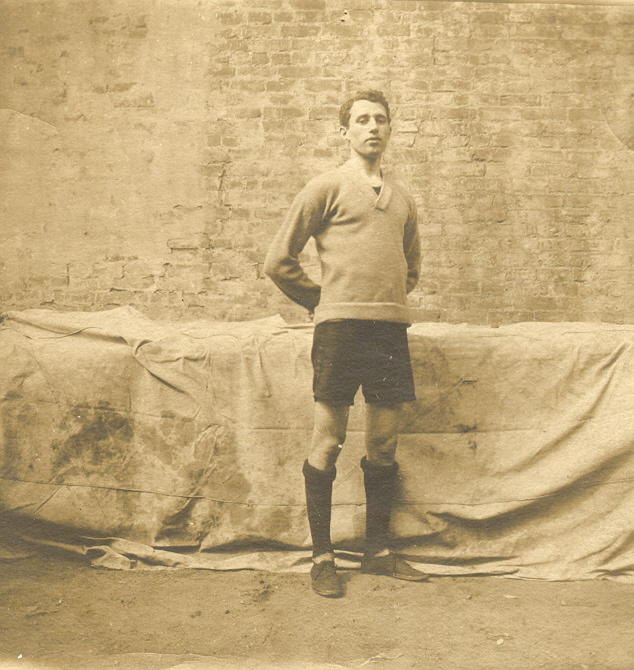 According to his military records, William was drafted into service on May 26, 1918. He was sent to Europe on June 30, 1918 and returned on February 21, 1919. He was discharged on March 8, 1919 at Camp Dix, NJ. He was at Meuse-Argonne fro October 1, 1918 to November 14, 1918. He was not injured. William married Louise Kothe on November 21, 1921. He and Louise had one child, William E. Felver, Jr. (1923-2007). 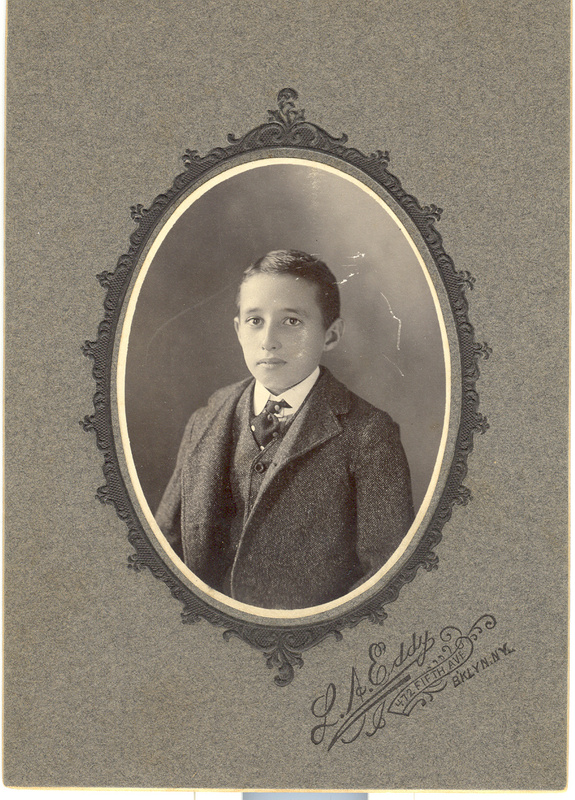 William Exall Felver, Sr. died on March 27, 1936 due to leukemia. He was buried at Mount Hope Cemetery, Hastings-on-Hudson, NY.